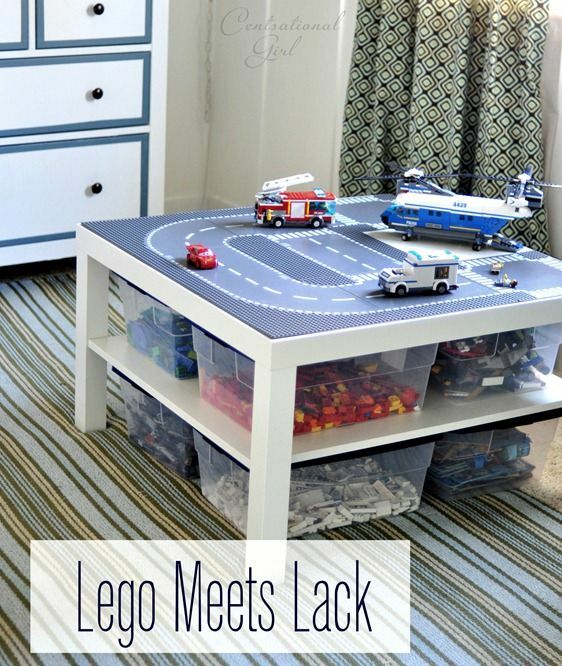 I saw this on Censational Girl's blog and it immediately went onto my Pinterest Kid's Board. Although I'm pretty sure my husband would like one of these right now! The lego mat on top is really neat too. The table is made out of IKEA furniture. I love how it keeps everything so organized and would be quick to clean up when kids are done playing. Could definitely see myself making one of these if we have lego loving kids!